Make your employees happy while also improving your bottom line. Happy employees make for better business, but what makes for happy employees? We’ve spent the past eight years developing an online staff management platform equipped with features to help answer that question, which in turn, helps businesses improve the bottom line. Now, we’ve come up with a solution that makes it enjoyable, rather than stressful, for employees to manage their shift work schedules. 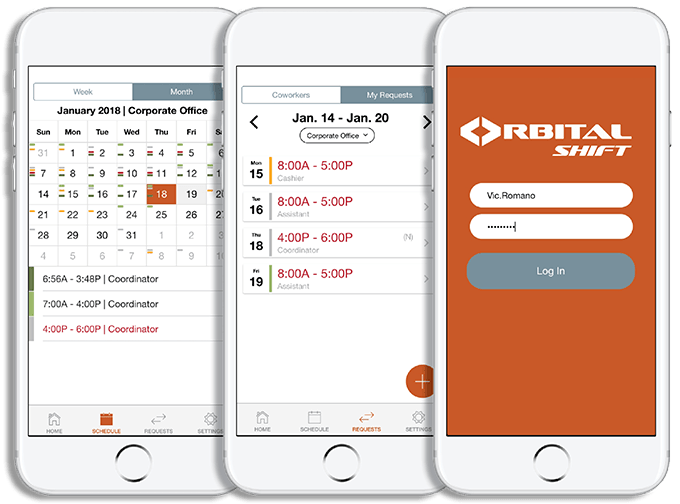 In September, we released the first version of our employee scheduling and time tracking app, which will empower employees to not only clock in and out of shifts, but to also submit time off and cover requests - right from their phones. 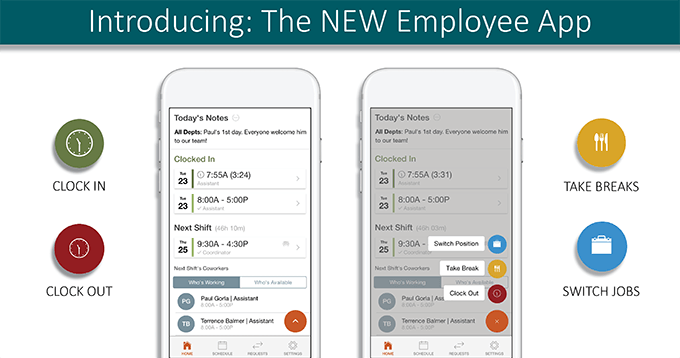 After months of making updates based on user feedback, today, we’re releasing the new version of our employee mobile app, which includes a host of new features and a sleek, new design. Managers want to fill available shifts and get their employees on and off the clock as quickly and efficiently as possible - a feat that can be nearly impossible when the only tools at their disposal are pen and paper. But our redesigned employee app makes it easier and faster for employees to manage their time and attendance with the help of the new, floating clock menu. Now, employees have the option to quickly clock in and out, start and end breaks or switch positions from a single button that hovers right below their thumbs. They simply open the menu and select the clock action they want to take. Everything can be done in seconds, so your employees won’t be stuck looking at their phones rather than tending to customers. The best employees are cross-trained employees, but keeping a handle on the schedules and time cards of workers who switch positions multiple times a day can be a huge headache for managers. Now, when an employee is switching from the front of the house to the back of the house, or from one department to another, they can simply select the new position from the hovering menu in the app, all while staying on the clock. This way, management doesn’t have to deal with multiple time cards for one employee working in multiple positions during a single shift. Instead, all of the time and attendance information is automatically saved into the staff management platform in the form of easy-to-read labor reports. 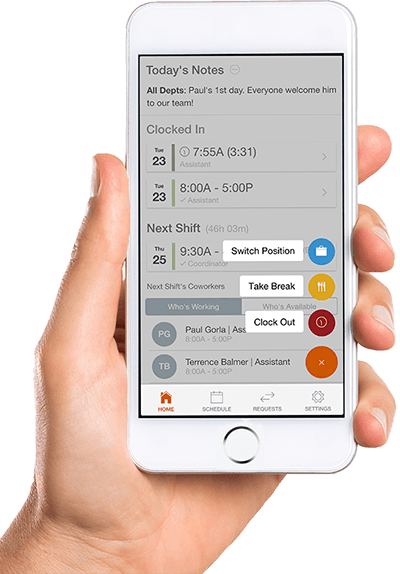 The new employee time tracker app allows workers to take breaks right from their phones without having to clock in and out of their shifts. When an employee opens the clock menu, they have the option to start a break by tapping the yellow button. This automatically takes the employee off the clock, but doesn’t end their shift. When an employee’s break is over, they can simply open the clock menu and tap the yellow button again to end the break and get back on the clock for that same shift. There’s no limit to the number of breaks an employee can take during a shift, making it an ideal feature for businesses with multiple break or smoke break policies. 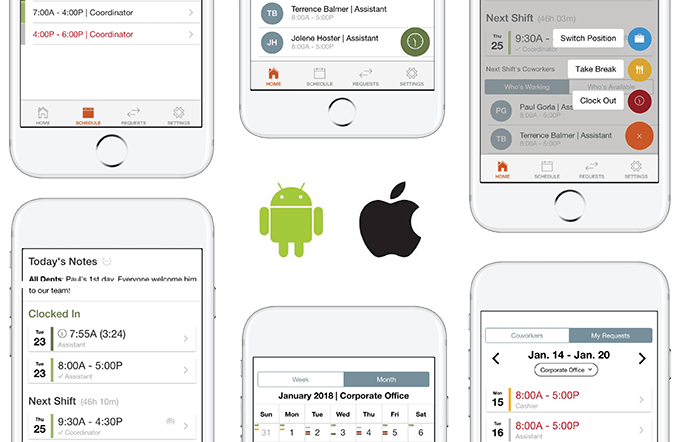 The employee time tracker app is designed for workers to get in and out of the app and onto their shift duties as quickly as possible - while also eliminating the stress and confusion of time and attendance tracking for both workers and managers alike.